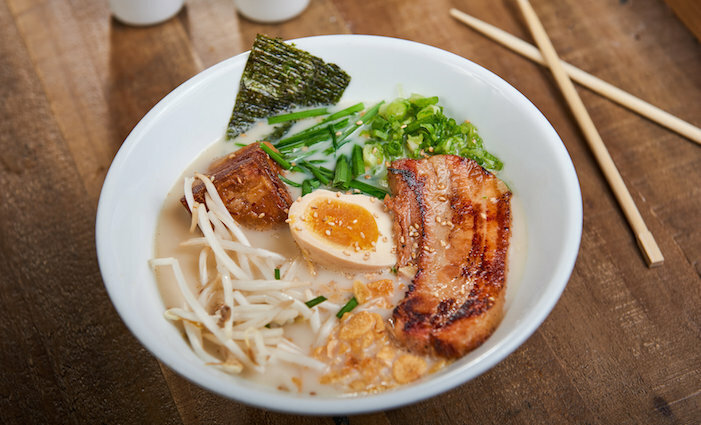 Tuck in at Tajima which boasts five locations around San Diego. Maybe it’s because this last year has been packed with political drama, record natural disasters and otherwise scary news headlines. Maybe it’s these cooler months and stressful winter holidays. But right now, more than ever, I’m craving comfort. Thankfully, San Diego provides it in countless ways, namely in the form of food—which has made putting together our annual dining issue extra fun. Following are some of my current favorite foods and dishes to indulge in around town this winter. 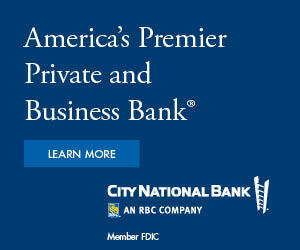 When seeking comfort, America’s Finest City has your back. Offering all-day breakfast sandwiches, build-your-own cereal bowls and Pop Tart ice cream sandwiches, Crackheads at Liberty Public Market is onto something big. Go for the signature Crackhead sandwich with bacon, a medium egg, cheddar and their special crack sauce; and add avocado. 2820 Historic Decatur Road, Liberty Station, Point Loma, 619.487.9346. 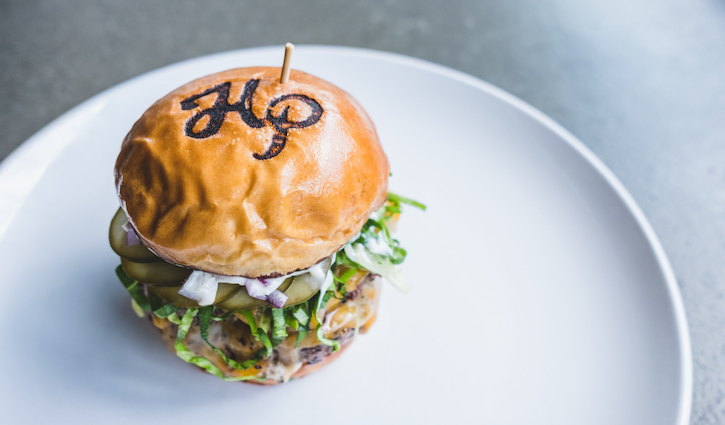 Chow down on the HP Burger, complete with English cheddar, secret HP spread, pickles, onions, iceberg lettuce. 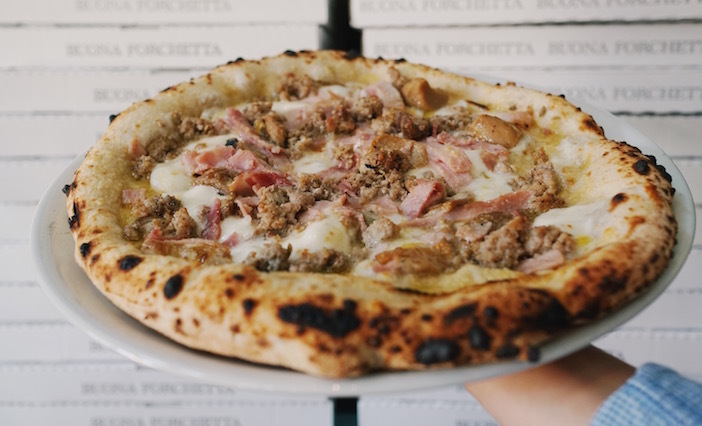 Dinner is Served: Alessandro Pizza with mozzarella, sausage, prosciutto and porcini mushrooms. 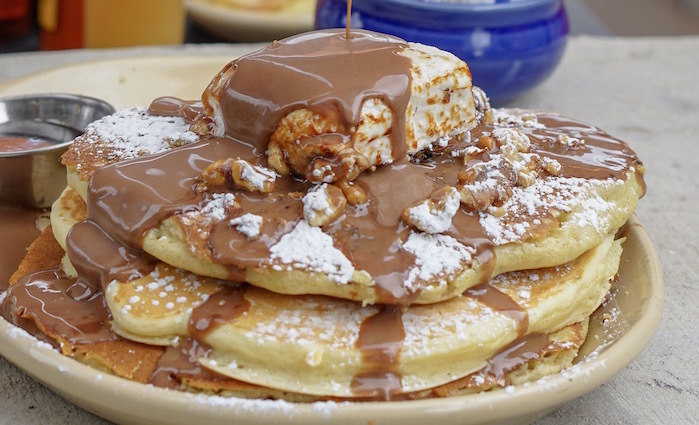 Enjoy the decadent Nana’s Hot Cocoa pancake this winter at Snooze. Get in touch with your southern roots at Union Kitchen & Tap. 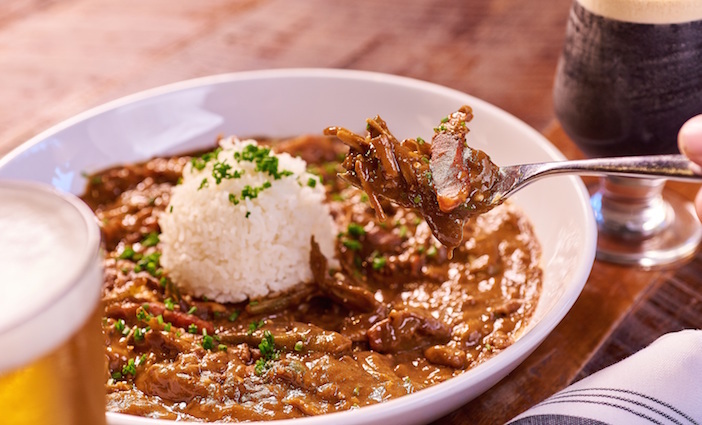 Nothing says Southern comfort like a big ol’ bowl of gumbo. And Union Kitchen’s rendition doesn’t disappoint. The hearty stew is packed with andouille sausage, pulled smoked chicken, okra, green onions and jasmine rice. Add blackened shrimp and butter-poached crawfish for even more protein power. Officine Buona Forchetta photo by Scott Andrews.